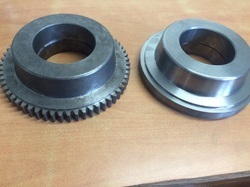 Our range of products include ductile iron casting, sg iron casting parts, flange and plain gear wheel and differential case. 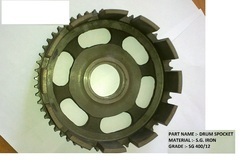 Our firm is providing a broad series of SG Iron Casting Parts. These are identified for their ability to tolerate high temperature and precise measurement. This product is manufactured by experts who owing to the top material, which is obtained from honest sellers of the market. Our quality examiners also check this product on specific quality norms prior to delivery to the consumers. Our consumers can avail our presented products in diverse specifications that meet on their necessities. 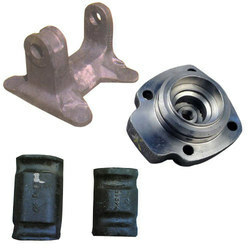 Our firm is providing a broad series of Ductile Iron Casting Parts. These are identified for their ability to tolerate high temperature and precise measurement. This product is manufactured by experts who owing to the top material, which is obtained from honest sellers of market. Our quality examiners also check this product on specific quality norms prior to delivery to the consumers. Our consumers can avail our presented products in diverse specifications that meet on their necessities. To meet the necessities of the consumers, we are providing a broad series of Differential Case. These are usually employed in automobile, railways and power generation industries to avoid breakage failure. This product is manufactured under the rigorous inspection of experts, who have rich industry skill and acquaintance. Owing to their longer life and sturdy nature, this product is extremely well-liked by consumers. 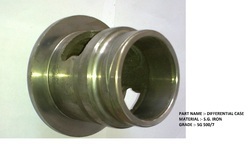 Looking for SG Iron Casting Parts ?